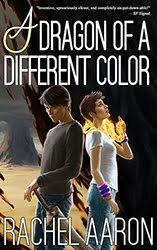 Nice Dragons Finish Last is $0.99 for only one more week! Get you one! Like exposition, writing description is one of those things that, if you're not already inclined to it, can feel like an anchor around your paragraphs. It's all too easy to go overboard describing what your characters see and feel, and while you may think you're giving your readers what they need, you're really just sinking your book under dead weight. If you go too light on description, though, your readers don't know what anything looks or smells or feels like and the book falls flat. Just like everything else in writing, good description comes down to good execution, which is just a fancy way of saying "You've got to do it well." That's no sweat if you're one of those writers who already loves description. For me, though, description is one of those writing elements I've always struggled with. I'm a plot and characters girl who'd do everything in dialogue if she could. I'm also not a very visual person, which means I'm constantly forgetting to describe basic things like what characters are wearing because I just don't think about it. My readers do, though, and boy did they let me know. So right from the beginning, I knew I had a problem with descriptions, and like any good writer, I got to work on fixing that. Most problems in writing can be solved through experience and listening to feedback. If you've got someone you trust to read your work and give it to you straight--and then you actually listen to the criticism and make changes as appropriate--you can solve almost any writing issue pretty quickly. But this cycle of constructive criticism and growth gets hamstrung when the problem in question involves something that you don't actually care about as a reader, like me and descriptions. I didn't notice them when I read books, so I didn't really think critically about putting them into my own. I think every author has a blind spot like this somewhere. Unfortunately, many of us use this as an excuse to take the Mind Over Matter approach, as in "If I don't mind, it doesn't matter." The book seems awesome to me! Why should I care if people are complaining about something I see as unimportant? I don't think I have to explain why this is a toxic and self destructive way to think. Even if something doesn't matter to us, we're not our audience. Writing for publication means thinking about appealing to a wide spectrum of readers, not just the ones who think like me. If I want to reach that broad audience, I have to try to be good (or at least not bad) on all levels, not just the ones I care about. I'm not saying authors should freak out over every negative comment--that way lies madness--but if readers are consistently complaining about something, then it's a real problem, and it's up to us as good authors to fix it. So how did I fix my description problem? Did I keep the criticisms in mind and focus on consciously adding more and better description to my work? Well, yes, but that was only the first step, something to help me treat the symptoms. I'm a firm believer that really good writing should be fun and flow naturally, and constantly harping on myself to remember my descriptions was definitely not part of that. If I wanted to keep my natural, fun writing rhythm, then writing good descriptions needed to become part of my creative process, not something I tacked on after the fact. To do that, I needed to look past my own antipathy and figure out what good description actually does in a novel. It's like that one tool in Photoshop you never use because you don't actually understand how it works. Once you figure it out, though, you don't know how you ever lived without it. That was the awakening I was going for, and sure enough, once I took the time to actually stop and ask "what does description actually do?" I started caring about it a whole lot more. Cool backstory, Rachel, but can we actually talk about description now? On the surface, description just seems like writing finishing work. It's not part of the structure, like characters and plot, it's just language that tells your reader how to imagine the things and people in your book, like costume and set design for a movie. But right there, in that seemingly dismissive comparison, we see how important description is, because there have been any number of movies that have used costume and set design to enormous effect, telling huge swaths of the story with visuals alone before any dialogue had even been spoken. A perfect example of this is my current darling: Mad Max Fury Road. There are probably 15 minutes of dialogue total in the entire film. The vast majority of the narrative--the exposition, the stakes, the world building, the characters' struggles and histories--is told entirely through what, in a book, would be description. It is the very definition of show, don't tell, which is exactly what good description exists to do. It's not just labeling your character's eye color or explaining what a sword looks like. Used properly, description becomes an entire other vehicle for the story that runs in silent parallel to the action and the dialogue. Writing good description is all about balancing two needs: information and tension. You need to make sure your reader has a good a mental picture of what your world looks like, especially if you plan to use that information to great effect later. At the same time, though, if you pause the story for a 1000 word description of architecture, no matter how relevant, any tension you built before that point will be murdered. Since boredom is my sworn enemy, I've historically erred on the side of too little, but (as was evident from my grumpy readers) that was almost as bad as too much. What I really should have been focusing on (and eventually learned to love) was using description as a tool. Like any good tool, you only need to pull it out when you've got a specific job to do. Way back when I was writing my very fist book (the one that I never sold), I thought that if a character saw something, I had to describe it. This led to a lot of boring "here's what the trees look like" paragraphs that agents described as "dragging" in their rejection letters. The lesson I took from this was don't describe anything unless you have to, but that was wrong, too. The key I was missing was balance. You have to describe things so the reader knows what your world looks/feels like, but which things you need to describe is completely dependent on how important they are to your story. For example, if a character walks into a room, you don't need to describe every aspect of the room (like Bad Writer Rachel used to). You just need to describe enough to convey the feelings and information you want your reader to pick up in this part of the story. If my character is waiting to meet with the Emperor of a failing empire, but I didn't want to actually sit there and info dump about how the empire is failing, I'd shift all that exposition to the description. By filling the waiting room with faded banners, shelves that weren't dusted, and displays of treasures from conquered peoples that my POV character now though of as being in extremely bad taste, I could passively tell the entire story of a ruling civilization's decline without actually saying a word. This is ideal of description as story, but sometimes you need descriptions for more practical reasons. Describing how many chairs are in a room and how they're positioned might sound boring beyond belief, but if your MC is going to be using them as weapons later, you can't escape it. If your reader doesn't know what those chairs look like and where they're located beforehand, it's going to look like your MC is just throwing chairs out of nowhere à la Bad Cop from The Lego Movie. These sort of practical "this goes here" descriptions were the ones I struggled with the most. I had to describe certain things for technical reasons--like the giant cathedral window I was going to throw someone out of--but stopping the action to actually write all of that out completely broke the tension. If I didn't describe the setting beforehand, though, it looked like I made up a window on the spot just to throw someone out of it, which is one of the hallmarks of bad writing. Fortunately for me, the solution to this problem turned out to be stupidly simple. After a lot of trial and error, I discovered that the secret to writing technical "where/what stuff is" descriptions without ruining the rest of the scene was to do the vast majority of my description while I was doing something else. Bob and Julius burst into the abandoned classroom, knocking the dusty chairs and desks out of their way as they ran for the window. This sentence is 100% description, but it's disguised as an action sentence. The reader's interest is held because we have two characters running through a room, ostensibly from or toward something. All that movement and implied threat creates tension and interest for the reader. They want to know where the characters are going, and if they're going to make it. At the same time, though, I'm also telling them what the room looks like (dusty, abandoned, in a school, probably dark) and what's in it (chairs, desks, and other things you'd find in a classroom). She turned the corner and froze, eyes wide. In front of her was...(insert paragraph of description here). As you see, that sort of "stop the camera and let it sink in" reveal can only be done so many times, and only for really important things you're certain the reader's going to be interested in. Most of the time, though, I've found my best bet is to try and sneak descriptions in wherever I can. It's just like when I talked about Info Filling vs Info Dumping for exposition. Rather than dumping my descriptions all at once, I break everything up and sprinkle it around wherever it'll fit. For example, if a scene has two characters standing and talking, I'll move them around and let them interact with the environment--picking up knickknacks, brushing dust off counter tops, smelling the dry scent of old books, tightening their cloaks against the damp, etc. This kind of sneaky, between-the-lines description lets me weave in tons of setting exposition while also doing dialogue. Plus, if I'm really on the ball, I can also use the character's fidgeting to show how they're feeling, like having them grip something too tightly. By using our description strategically, we're hitting a whole flock of birds with one stone here, and that is always awesome. Dialogue isn't the only place you can use this trick, either. Letting your characters interact with the environment creates a never ending source of passive exposition. Trip them on rocks, get them stuck in mud, drench them with rain, fill the air with the sour smells of the market, make their formal clothing too tight, you get the idea. It's all about balancing information with tension. Doing whatever it takes to set the scene without actually having to stop and set the scene. And that's how I do description! These strategies have helped me come a long way with my descriptions since my first book, and I now count good description as one of the most powerful weapons on my writing utility belt. Whether you struggle with description or not, though, it's always good to understand how an aspect of writing actually functions mechanically within a story. Knowledge is power! Thank you as always for reading, and if you want more technical writing tips/tricks/discussions, check out the Writing Wednesday archives! This is excellent - "Used properly, description becomes an entire other vehicle for the story that runs in silent parallel to the action and the dialogue....Writing good description is all about balancing two needs: information and tension." Great advice. I also tend to err on the side of too little description, because as a reader, I tend to skim/skip it. I ran into the same problem as you, either over describing things that had to be present in the scene, or stopping everything to describe a lamp. I could even feel these moments while drafting, when the character would walk into the room and I knew it needed some description to at least anchor the scene (something I was/am bad about), but it felt like let's stand here and look at stuff. It's also bad because most of the time, it breaks POV (how many times do you pause before entering a room to just take inventory of stuff?) and dumps a whole lot of telling into the story. It's something I'm still working on, so these tips really helped. I think you've gotten the hang of it, because in NDFL, I never felt the story pause to describe stuff, yet everything was described with good purpose. I'm thinking especially of the scene where Marci takes Julius back to her crazy cat house, and he sees her basement for the first time. There is so much good stuff packed into that scene. We have some worldbuilding for the magic, how dragons use magic vs mages, some foreshadowing of later events (when the goons show up to shoot them out), characterization of Marci and her love of magic, and Julius who is clueless about mage magic and also nervous about getting into the party, more foreshadowing to using pieces of magical creatures for money, etc. You definitely killed an entire flock of birds with one stone there, which is especially impressive because usually those scenes are the slow yet necessary parts of a story. The extra benefit of making everything matter, feed into the story in several different ways, is the book feels *tight*. There's no slow bits, no sagging or dragging, and you manage to convey a lot of information in a book-length space. Every word feels necessary because it's being used for several different things. And that, IMO, is the difference between a good book you'll forget about in a few days and an amazing book that sits on the shelf of favorites. Not that you're in any way lacking for great posts, but you might consider taking one of your scenes and dissecting it, showing us exactly how you layered what, your thought process behind it, maybe some early drafts, etc. I feel like the last few Writing Wednesdays have built into each other really well. Just a suggestion! Thanks for the great post as usual! Thank you so much for this post, Rachel! I have been struggling with description for a while, and this helped put some things in perspective for me. I loved your Eli Monpress books because I felt like if someone dropped me there I could navigate through the world because of your descriptions, and that's something I hope to learn how to do in my writing (I have a difficult time reading Tolkien, on the other hand, because it has a more historical bent in tone and the descriptions drag foreeeeeever). Also, I went and saw Mad Max: Fury Road last night for the third time. That movie is incredible and just gets better with each viewing. Yay for beautiful badassery! "She turned the corner and froze, eyes wide. In front of her was..."
This is a great writing prompt TBH! Wow! Such great comments! Thank you all for reading! @Madeline Mora-Summonte it's so funny you say that, because I do the exact opposite. My first drafts are almost stark because I've left so much description out. Then, over the course of my edits, I go back and add in layer of description until things make sense. Yet more proof of how many different ways there are to write! Yeah, it's hard to fix what you don't really see. I had to really look at my work to even pick up the problem. Aww, thank you! So glad you enjoyed the post. Also, that's a really good idea about using one of my scenes to talk about this stuff (and the Marci in the hoarded cat house scene is a great suggestion, plus one of my favorite scenes in the book). Going into the post idea bucket! Thanks so much for the suggestion and for reading! Thank YOU for reading! And I'm with you on the difficulty reading Tolkien for exactly the same reason. I really thought I was a bad Fantasy reader for a while, but then I realized I just like faster paced books. Different strokes for different readers! 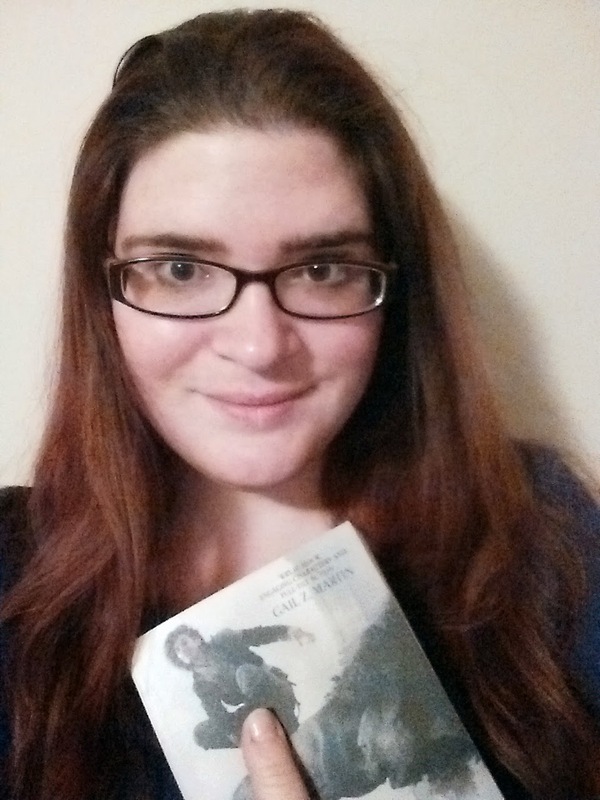 As your love of Mad Max (and my books) shows, you are a person of excellent taste. Just use that in your own descriptions and write what makes you smile and you should be good! I didn't even think about that, but you're totally right! I'm really enjoying the Writing Wednesdays! I appreciate the way your advice is not only useful but also friendly; some of the other writing advice I've read comes across as antagonistic towards less experienced writers, but yours is always encouraging. I think you gave some similar advice on description on your NaNoWriMo thread a while back; I've been having fun with it ever since. A question for a future Wednesday: Do you ever have trouble with boring MCs, and if so, have you found any tricks for making them more interesting in a way that fits the story? In the book that I'm revising, my rather bland MCs are being upstaged by the supporting characters (a pious but hyperactive romantic à la Anne of Green Gables, a spoiled but lonely rich girl, a mysteriously quiet young noblewoman, a developmentally delayed would-be spy, and a very literal-minded hypochondriac), and I don't know how to make them more interesting without distracting from the story. What quirks they did have, I dropped because they got me fewer birds than stones. I'm feeling vaguely disappointed when they 'win', and if I'm not happy, I don't imagine readers would be, either.